It’s no surprise that supermodel Tyra Banks’ Beverly Hills home looks like something straight out of a magazine. 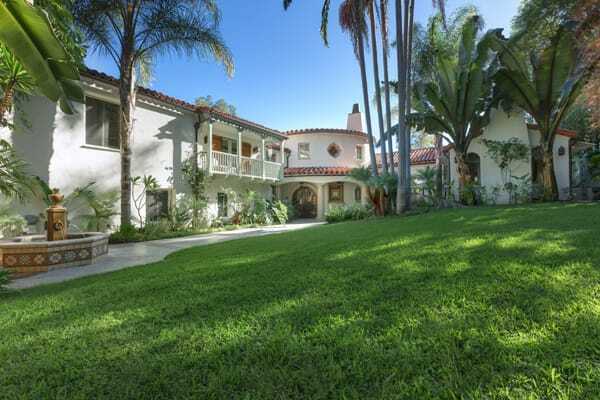 She recently listed the property, which is a 1926 Spanish Colonial, for $7.75 million. Architectural Digest gave us a peek inside the charming, vintage home. The home is full of character from exposed wood beams to built-in bookcases. The color palette is crisp and neutral, capturing the airy beauty of Beverly Hills and cultivating a tranquil atmosphere that turns this gorgeous home into a special hideaway. As soon as you enter through the impressive wood gates that lead into the property, it feels like you’ve entered into another world. The decor in this home is inspiring both for living and for home staging. It captures that perfect balance of neutral decor with the charm that makes it feel like a warm, inviting home. There are a lot of great ideas to take from this home tour. You’re sure to find at least one thing inspiring about it. 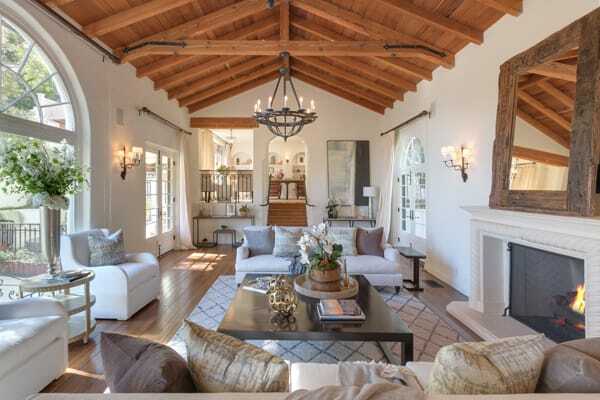 The wood beams are the stars of the relaxing living room, popping beautifully off the white walls. The master bedroom is open and airy, surrounded by plenty of windows letting in lots of light. The area rug helps make the bed area feel more intimate and defined. Not only am I loving the arched built-ins, but that one-of-a-kind driftwood bench is definitely a conversation starter. 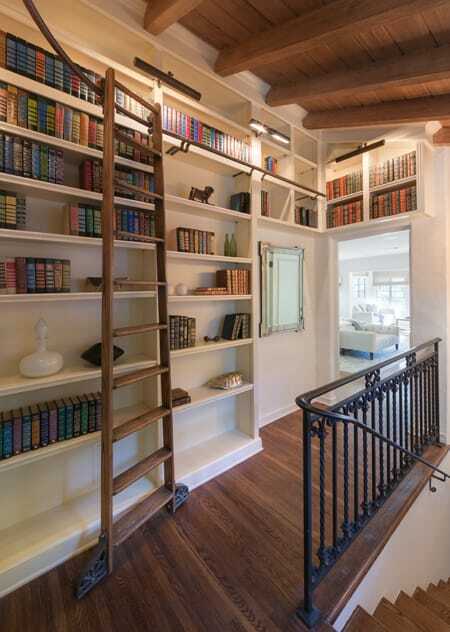 More built-in bookcases line the hallway to make it feel cozy and provide lots of character. I love the addition of the ladder, as well. 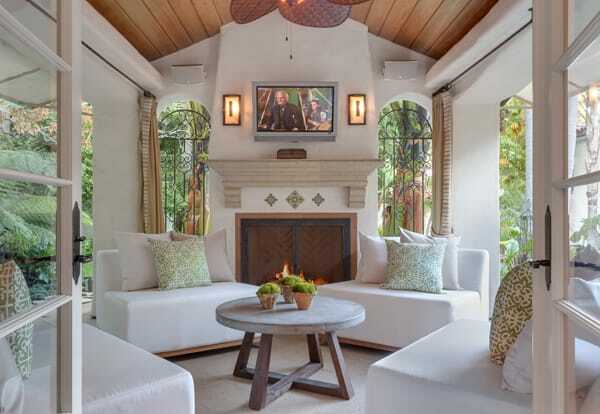 Outside, an intimate sitting area surrounds a beautiful fireplace and offers a great spot to enjoy all the stunning nature that surrounds the home. The gates leading into the home give you a taste of all the beauty and character that is to come. Could you imagine yourself living in this home?